Holding pure ideals and intentions (can be taken to an extreme). People who give much, but have difficulty receiving. High degree of sensitivity to others, and what is going on around them. Connected to and driven for helping those around them, yet lacking contact with their own deeper self. They have a strong tendency towards perfectionism, and never feel that what they do is good enough. All of these outer characteristics work to cover up a deeper element of darkness, or even violence which has been cut off from the conscious mind. It is as if this inner, living content inside of us has been “embalmed”, and we are cut off from what’s going on inside. It is fascinating to re-visit common symbols or cultural artefacts from this perspective, and see what a substance might otherwise mean for our consciousness when used as a medicine. 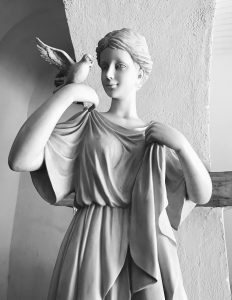 There is a deeper unconscious wisdom which usually gave rise to such cultural symbols and practices, and now with the science of Heilkunst, we are able to raise our conscious understanding of which part of ourselves is represented by such outer objects. Anyone who has watched Kitchen Nightmares will usually not have a neutral opinion about the key protagonist of this reality program. Gordon Ramsay is famous not only for his skills as a chef and running highly successful restaurants, but also for the continuous stream of colourful language and apparent abuse of the chefs and restaurant owners he is instructing. He, and this TV show, may often be dismissed by viewers as containing too much gratuitous profanity and shouting. Seeing all this with different eyes, though reveals a different picture — just like the “calm and assertive” energy which Cesar Millan, the dog whisperer uses with dogs and their owners, the energy of Ramsay is appropriate to its context and goal inside of these failing restaurants he’s been called in to rehabilitate. This connects back to my recent blog on Hahnemann’s advice on how the physician should treat the patient. Thinking of this in Heilkunst terms, there are generally phases of treatment where a degree of “violence” is called for when confronting the deeper entrenched belief systems of the patient, and to penetrate through the thick protective armoring which the patient has put up around their beliefs. 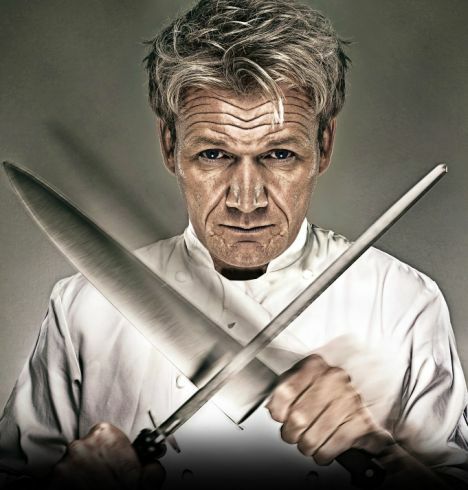 Ramsay is also a very creative clinician, in that he almost always takes the owner and/or chef out of their usual restaurant context, into one which provides an analogical experience for his “patient” to come to see the truth about their own rigid belief structure, and how it is driving their restaurant to failure. These exercises may be something as simple as getting the whole kitchen crew to come out and engage in a soccer match together, to (re-)discover the basics of how to work as a team. It is amazing to see, time and again, how just about every failing restaurant that he is dealing with is being fundamentally driven by the owners or chef’s personal unconscious beliefs, which drive them to make choices which on the surface are extremely illogical, yet cannot be fixed by presenting the logical alternative (“simplify your menu”; “Make the decor of the restaurant congruent with your client’s expectations”, etc. ), but first a very powerful “attack” on the belief and armoring structure is needed. The modalities of conventional medicine actually fit in as a part of the overarching treatment map of Heilkunst — they are not mutually exclusive as some might think. The role of surgery, and even a judicious use of pharmaceutical drugs or diagnostic imaging equipment (MRIs, x-rays, CT scans, etc.) can actually be a very valuable component of some treatment plans. In the total healthcare hospital of the future, all known modalities will exist side by side, and patients will be directed to the appropriate department at the correct time. While such a hospital does not yet exist as a physical entity, the conceptual framework of Heilkunst does, and a well-rounded physician will artfully refer patients to various modalities in an intelligent sequence on their path to increasing health. When a patient does have need for some intervention from a conventional practitioner, it is essential that they have a very strong understanding of their own treatment plan, and what role the test or intervention is playing towards their overall health. I say this because, unfortunately, most conventional practitioners have conceptual blinders on, and believe their system to contain all that any patient needs. While some of their techniques and technologies are virtually miraculous at the right time (witness the modern day emergency room at the hospital), the philosophy of emergency care is implicitly spread over the whole range of all healthcare needs, and the principles which work brilliantly in a life-and-death situation, actually cause much more harm than good in the long-term treatment of chronic illness. Much of my work with patients is to help them to properly understand and internalize their own treatment map, so that when they elect to use a piece of conventional medicine for themselves, they do not get steamrollered by the doctor who would otherwise assume the whole scope of the patient’s treatment plan. This is simply another example of what it means to have and activate a healthy immune system, where the locus of control and direction for one’s life comes from within. Continuing with the next aphorism, Hahnemann expands on the principles we examined from aphorism #228. The demeanor, stance, and force of personality which the physician applies to the patient are not trivial, and need to be applied consciously, just as the choice of medicine and its dose and potency. 229.1 On the other hand, contradiction, eager agreements, violent reprimands and vituperations, as well as weak, timid compliance are entirely out of place with such patients, being equally deleterious treatments for their psyche. 229.2 However, they are mostly embittered by scorn, deceit and noticeable deceptions and their disease aggravated. 229.3 Physician and overseers must always assume the appearance of crediting them with reason. 229.4 On the contrary, we should seek to remove all kinds of external disturbances to their senses and mind; there are no entertainments for their befogged spirit, no beneficient diversions, no advice, no soothing words, books or objects for their indignant soul, languishing in the fetters of the sick body, no refreshment for them except cure; quiet and comfort radiate back onto their spirit [footnote: The cure of lunatics, maniacs and melancholics allows itself to be accomplished only in a specifically arranged institute, but not in the patient’s family circle.] only once their somatic condition is retuned towards improvement. This principle also applies to the current fad for “positive affirmations”, which likewise are not capable of removing any actual diseases, and in fact, may be detrimental as Hahnemann points out here, by creating a distraction from the focus which should instead be on clearly identifying and then curing the disease. If the physician is not clear on the principles to begin with, and then makes things even worse by not standing in proper relationship to the client, then we see a medical system built on suppressive or palliative means, instead of curative. In his Organon, Dr. Hahnemann makes some very earnest comments about the proper conduct of the physician towards the patient. The text which I have excerpted below is derived from Hahnemann’s experience with working with patients in mental institutions, however the principles contained are applicable to all patients, regardless of whether or not they are in such an extreme state of mental illness. 228.1 In psychic diseases arisen by means of somatic disease, which are only to be cured by homeopathic medicine directed against the internal miasm along with carefully adapted regimen, a seemly psychical conduct towards the patient as an auxiliary soul-diet must indeed also be carefully observed on the part of the relations and the physician. In this first sentence alone, he has already alluded to the three jurisdictions of Heilkunst treatment : medicine (“..which are only to be cured by homeopathic medicine directed against the internal miasm…”), regimen (“…along with carefully adapted regimen…”), as well as therapeutic education (“…as an auxiliary soul-diet must indeed also be carefully observed…”). 228.2 To raging insanity must be opposed quiet intrepidness and firm, cold-blooded will — to awkward, plaintive lamentation, mute regret in looks and gestures — to nonsensical prattle, not quite inattentive silence — to a disgusting and atrocious behavior and similar chatter, complete inattentiveness. Here is a point where Cesar Millan and Dr. Hahnemann could become quick friends — the “calm, assertive energy” which Millan constantly reinforces in his rehabilitation of dog owners is the same thing Hahnemann is recommending to the physician in their treatment of their mentally unwell patients. As soon as the physician, or dog owner becomes rattled, and dragged into the emotional drama of the patient, everyone has been reduced to the lowest common denominator, and no progress can be made. 228.3 Only let there be safeguards against property damages, preventing them without reproaching the patient about them, arranging everything so that all corporal punishment and torment [In a lengthy footnote here, Hahnemann describes the disaster precipitated by the typically cruel and unprincipled behavior of doctors in mental institutions.] are thoroughly abolished. This is similar to the general principle of parenting, of keeping the child safe from overt danger, without becoming unnecessarily restrictive of their movment and exploration of the world. As in the general impulse of homeopathic medcine, Hahnemann is suggesting that the impulse from the physician needs to be just enough to produce the desired effect, without being over the top, and therefore suppressive. 228.4 This is all the more easily effected since in the homeopathic administration of medicine — the only case in which compulsion could be justified as an excuse — the small doses of helpful medicine are never conspicuous to the taste and can therefore be given wholly unawares to the patient in his drink, so that all compulsion becomes unnecessary. Free will, and informed consent are always the highest ideals to bear in mind in healthcare. There are cases, other than such conditions in the mental institutions which Hahnemann describes here, where a deceptive administration of medicine may be appropriate in a given family dynamic, and where one or more of the family members are sufficiently “out of their minds” due to their state of disease, and would become a harm to the rest of the family if left untreated. I mention this, but bear in mind that a very high level of consideration needs to be undertaken into the dynamics and ethics before applying such treatment in any given case. 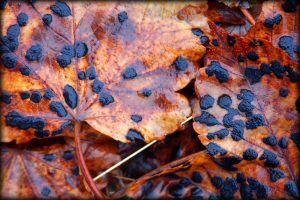 Of the 38 Bach Flower Remedies, there are a handful which address different types of fears. Mimulus is the one which is used to address specific, known fears, including phobias, or other general aversions such as for public speaking. It is particularly called for when someone is lacking courage for doing something that they know they need to do. Mimulus is different from the essence of aspen, which is called for when there is a fear of unknown origin, and when the feeling overcomes the person, but they can’t tell you why they are feeling afraid or anxious. The origin of the fear or anxiety is always known when mimulus is called for. 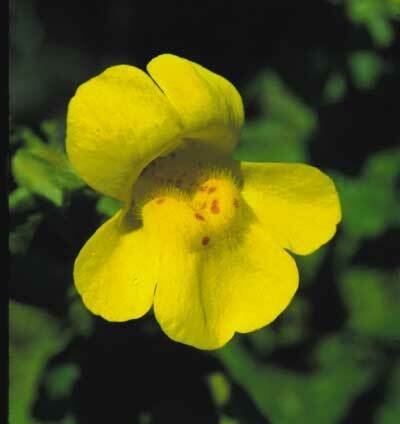 I remember when I first started trying the Bach Flower Remedies, and I was using mimulus. I first started taking it when I was on a road trip, and apprehensive about some of what I would be doing at my destination. The interesting “side effect”, which really struck me, was that it also worked to remove my (then) characteristic shyness, and I spontaneously struck up conversations with strangers at the bus stop (which I never would have done before). The Bach Flower Remedies in general, and some of my first uses of them, including mimulus, were quite a vivid experience for me, and opened my mind to “energy medicine”, which later led me into studying homeopathy. If you know anyone who is dealing with specific fears, such as phobias, public speaking anxiety, or other general performance anxiety issues, then they may get quite a bit of help from this remedy. I’m also thinking of all of the young men and women who will be headed to meet their boy/girlfriend’s parents for the first time during the holidays, which they may be quite nervous about. Tell them to start sipping on Mimulus before they get there, along with any other homeopathics specific to their state of mind. Giving and taking. Many patients tell me this — that they find it much easier to give than to receive. It’s fascinating that the peak time of year for bronchial asthma is during December, the season of Christmas which demands a whole lot of giving. The attempt to shut oneself off. The basis of allergies, in general, is one of fear, and a false perception that life is dangerous rather than good. We’ve previously discussed the relationship between expansive and contractive tendencies in our life, and how any disease process will begin to emphasize the contractive over the expansive — this is clearly evident in asthma, where the lungs are contracting much more than they are expanding, ie closing off from taking in more life. Lust for power and feelings of smallness. Detlhefsen makes an interesting general point throughout his book, which is that any illness functions to “make us honest” — meaning, that it manifests a state of affairs which we do not otherwise have the courage to express in a rational, conscious mode. In the case of asthma, he points out the extreme level of control over the environment which is demanded around an asthmatic, from controlling levels of dust and cleanliness, to having pets removed from the family home. These feelings (of wanting to dominate) are not socially acceptable, and so may be transferred to the physical level in terms of the lung symptoms of asthma. Or more generally, the amount of suppressed aggression in our society is epidemic, and may come out in any number of health issues. Resistance to the dark areas of life. Similar to the previous point, the effect of asthma drives the patient to create an ultra-clean environment for themselves, and consequent fear or aversion to anything “dirty”. To truly be alive means to embrace the polarity of life, where both “clean” and “dirty” are accepted. At the emotional level, I see this in many patients who “beat themselves up” for thinking or feeling undesirable things about the people around them, and being ashamed of these “shadow” elements of themselves. How expressive is the patient’s face? As their treatment progresses, the range and naturalness of their emotional expression will improve, as well. Hardened, stoic faces transform into being spontaneously expressive of any number of emotions in the moment. 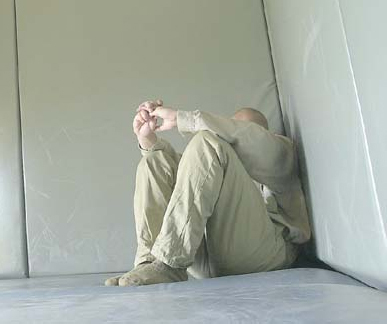 The process of armoring (and subsequent de-armoring in treatment) involves a rigidification of the musculature, as a form of “holding” mechanism to attempt to keep any original anxiety or conflicts at bay from overtaking the mind. At some point the wind changed for all of us. Hearts got broken, people put us down or we were disappointed or disillusioned. It became unsafe to stand out, be wildly enthusiastic or to be really expressive. So most of us have settled for faces that display only a very small part of the range of emotion that was our birthright. Now try it again – but this time, ridiculously exaggerating every emotion. Sad – be really, really sad. Happy – be deliriously joyful. Bewildered – be utterly clueless. This kind of feedback is very similar to the original form of Dr. Reich’s Character Analysis, where he would ruthlessly point out frozen behaviours or expressions in the patient, until they could start to feel those unconscious patterns themselves, and begin to change them.